Op art. This is a Vasarely-like image. 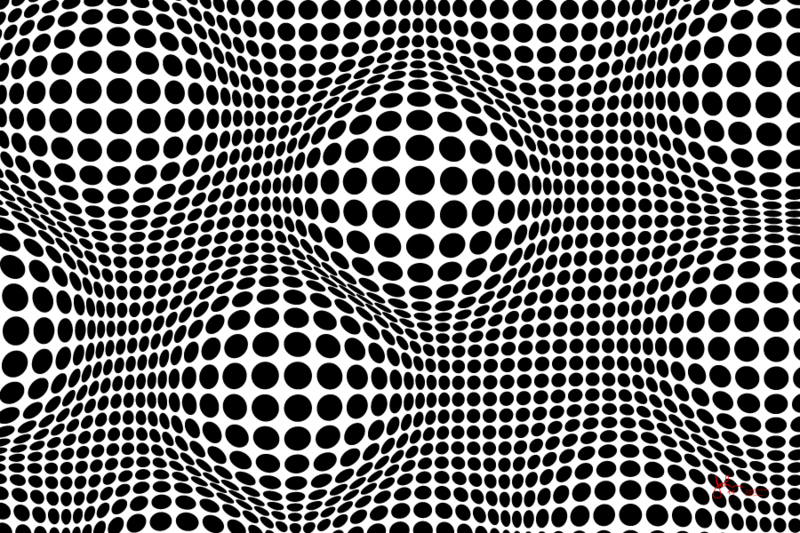 The difference is that while Vasarely had circles which caused the eye to see a sphere-like bulge, here the distortion of the circles is derived from a continuous function in two dimensions, giving a rather wavelike impression. The difference between this one and bigpic 304 is that the underlying function is different. This one produces the impression of isolated peaks. The function used has many elements of randomness.